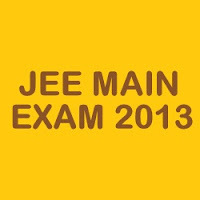 JEE MAIN 2013 Results: The New Joint Entrance Exam (JEE) Examination 2013 and various state boards for admission to the undergraduate programmes in Engineering in India. The CBSE too has made an official announcement that the JEE (Main) will replace the AIEEE exam and JEE (Advanced) will replace the IIT-JEE from 2013. JEE (Main) Examination 2013 (hitherto known as AIEEE - Paper I) for admissions to B.E./B.Tech courses at NITs, IIITs, DTU, Delhi and other CFTIs will be held in April 2013. The JEE (Main) (Paper I of earlier AIEEE) for B.E./B.Tech will be held in two modes, viz offline and online (CBT). The offline examination for JEE (Main) will be held on 7th April, 2013 and the online examinations will be held thereafter in April, 2013. The examination (Paper II of earlier AIEEE) for admissions to B.Arch/B.Planning courses at NITs, IIITs, DTU, Delhi and other CFTIs will be held on 7th April, 2013 in offline mode only. The merit list for admission to NITs, IIITs, DTU, Delhi and other CFTIs will be prepared by giving 40% weightage (suitably normalised) to class XII (or equivalent examination) or other qualifying examination marks and 60% to the performance in JEE (Main) Examination. The score of JEE Main 2013 for all candidates will be declared by 7th May 2013. This score shall comprise of the actual marks obtained in JEE Main 2013 along with the status of those who qualify for appearing in JEE Advanced 2013 provided other conditions of eligibility are met. 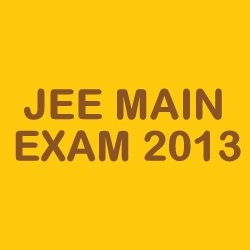 JEE MAIN 2013 Results Date: 7th May 2013.